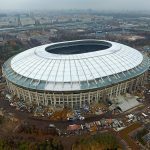 THE LUZHNIKI STADIUM is the main arena for football matches World Cup 2018 – is the stadium “Luzhniki”. This structure was the largest in the whole of the USSR and Russia. After it was reconstructed, it became the largest in the country. The year 1997 was marked by the fact that the stadium was completely reconstructed. A unique visor with a weight of 15 thousand tons was made, which reliably closed all the grandstands. Since 2008, there was an artificial field on the field. As well as in many stadiums, around it there were running tracks intended for carrying out of various competitions. 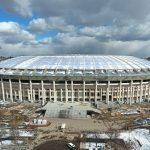 Of course, it is at the Luzhniki Stadium that the opening of the 2018 World Cup, the first match, one of the future semifinals and the final match will be held. 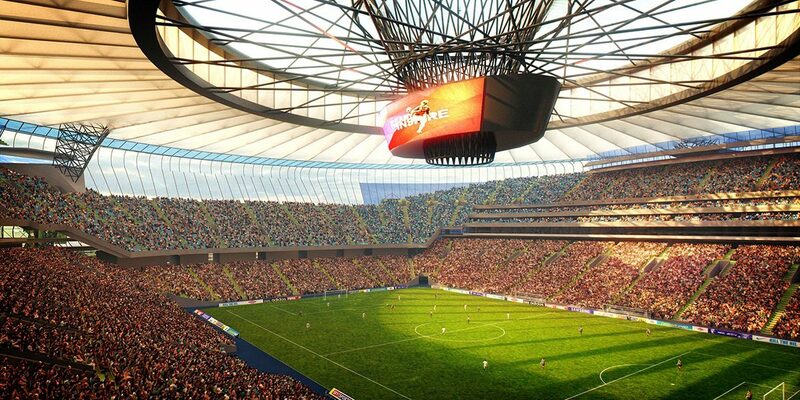 In order for the stadium to meet the established requirements of FIFA, it was originally planned to completely build a new stadium. 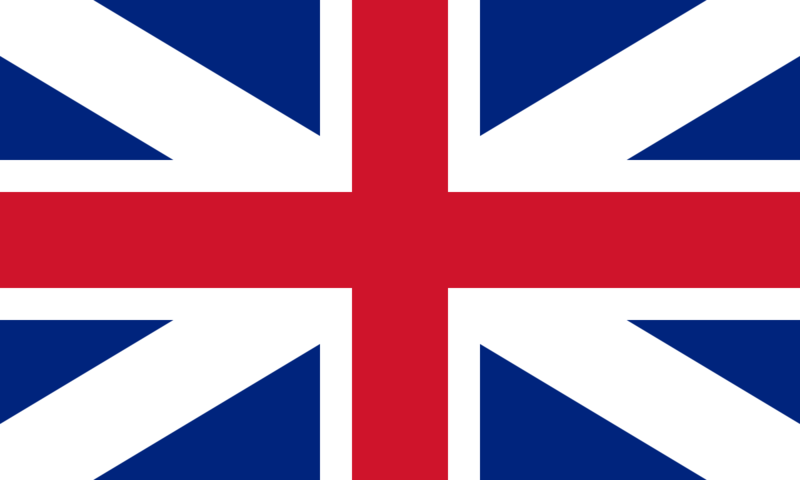 However, a decision was made and the reconstruction of the old one. The most recent match that was held here was in 2013, after which, in the same year, the rugby championship was held. By the beginning of 2015, exactly half of the work on equipping the solid frame of the entire stadium was completed. In March, the same year, the roof was installed and the walls were laid. By mid-summer 2015, the reconstruction of the grandstands has already begun. 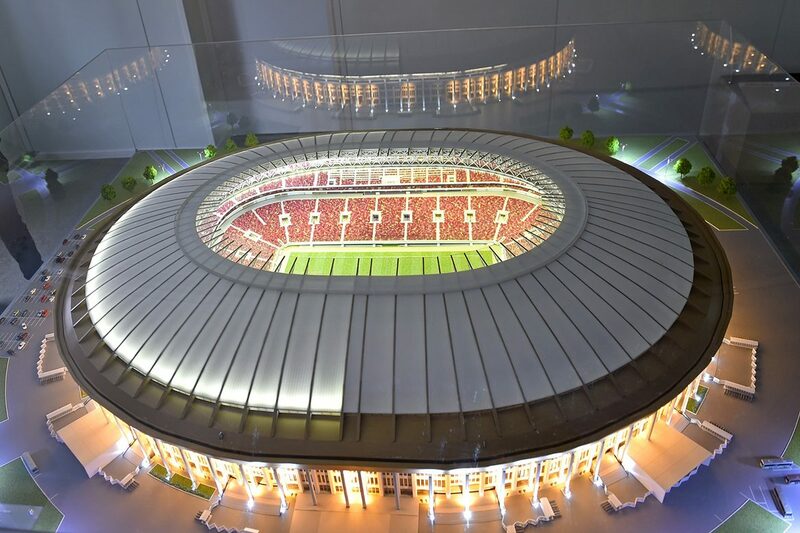 By 2017 it was planned to open the stadium. Since all the treadmills were removed, the number of seats for fans increased significantly. 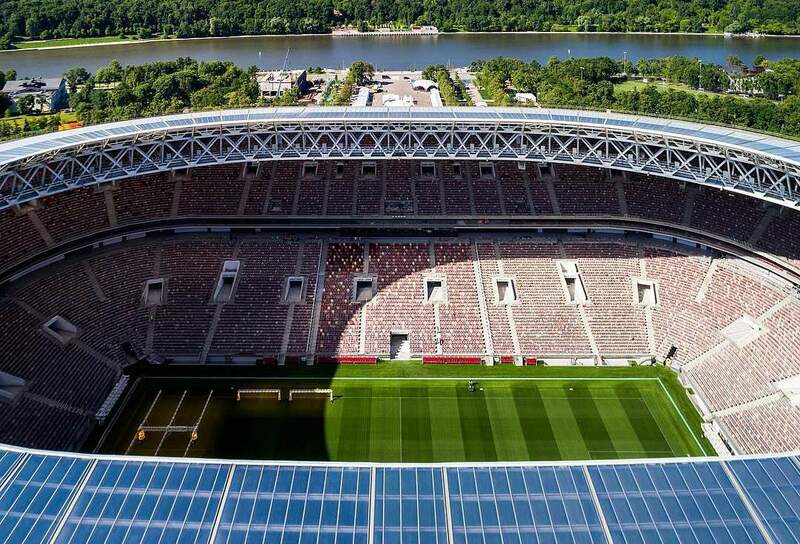 “Luzhniki” became an exclusively profile structure where only football matches are held. 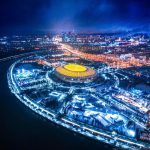 In preparation for the long-awaited football event of the World Cup 2018, 6 checkpoints and 39 bands for screening fans were created. 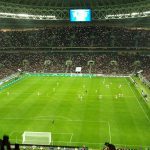 At the stadium of the capital is installed about 3000 cameras, this is more in comparison with every other stadium that will host the matches of the championship. In addition, there are places for people with disabilities. 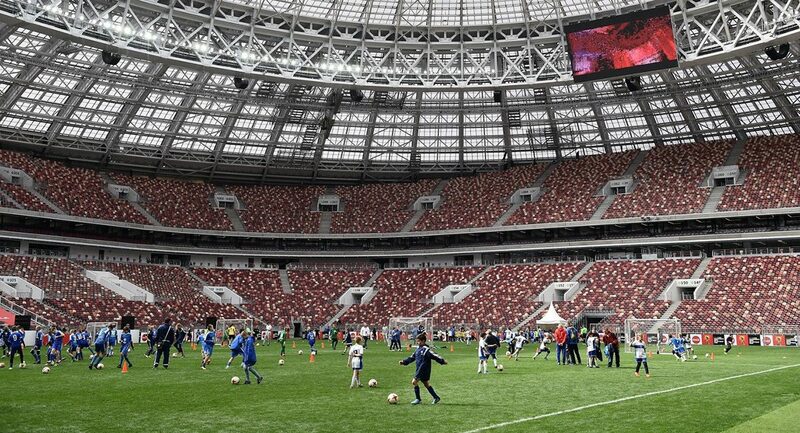 “Luzhniki” are considered one of the most comfortable stadiums in the world. There are equipped seats for people of great design, there is a so-called lost property office, including the issue of finding missing children, cameras for storing things, and much more. 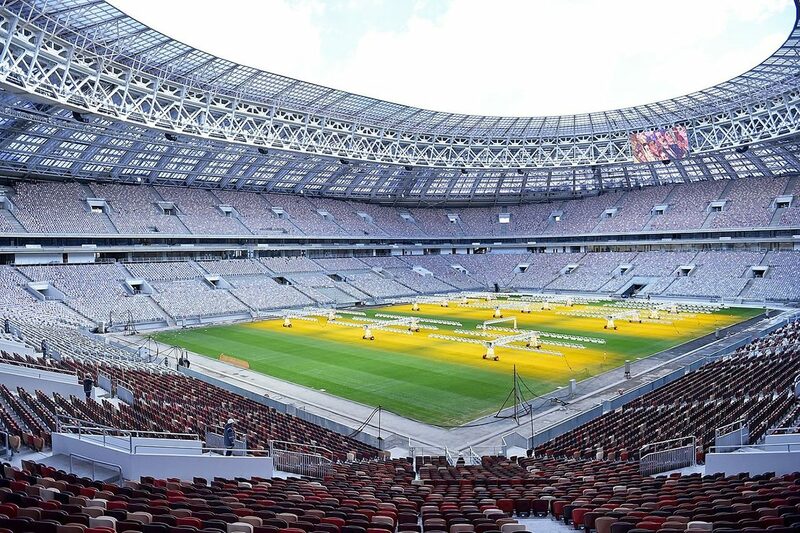 The first match at the renovated stadium was held in November 2017, the Russian and Argentine national teams met here. True fans of football were able to enjoy watching the game of such iconic stars as Lionel Messi, Sergio Aguero. It should be noted that the match was held at full notice. Unfortunately, the Russian team lost with a minimal score. 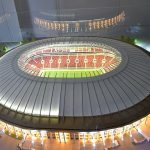 The construction of a huge stadium in Moscow was planned in 1954. Drafting, as well as construction work started in 1955. Originally, the stadium was named after Lenin. The discovery of a large complex occurred in 1956. Since then, the building has been rebuilt many times. In 1960 a monument to Lenin was erected near the stadium. All those who are not indifferent to the sport remember that legendary 1980 when the Olympic Games were held and the bear flew into the sky. 1982 was a tragic year. With the crush of fans of “Spartacus” and “Haarlem” 66 fans died. In 1990, at the stadium was a farewell concert of the popular group “Cinema”, which gathered about 72,000 fans of her work. 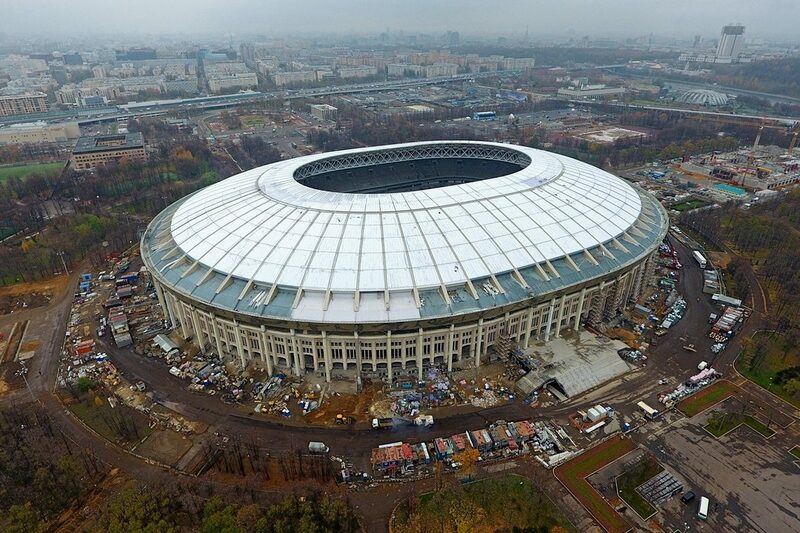 Its modern name “Luzhniki” stadium was in 1992. In 1998, this sports complex was included in the category of 5-star stadiums. Since 2006, this system uses 4 stars. In 1999, the final of the UEFA Cup was held between Parma and Olimpic. This football action was the first in the history of Russian sport. In 2008, fans of beautiful football could enjoy a match between Manchester United and Chelsea in the Champions League final. 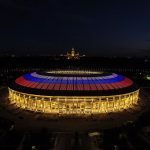 In the same year the stadium “Luzhniki” got the status as “elite”. 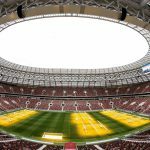 At the World Cup 2018 on the “Luzhniki” there will be only 7 matches: 4 at the stage of the group stage, 1/8 finals, semifinals and, in fact, the final. Of course, such a legendary stadium has an incredible amount of interesting facts about yourself, with which every fan wants to get acquainted. We propose to consider them. The construction of the stadium marked a huge upsurge in sports after the war. This process took only 450 days. It turned out a multifunctional complex, which hosted various competitions. 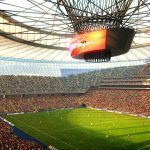 In the stadium there is only a natural lawn, which differs from artificial lawn by a more thoroughgoing care. However, the quality of the game is much higher than that which takes place on an artificial lawn. 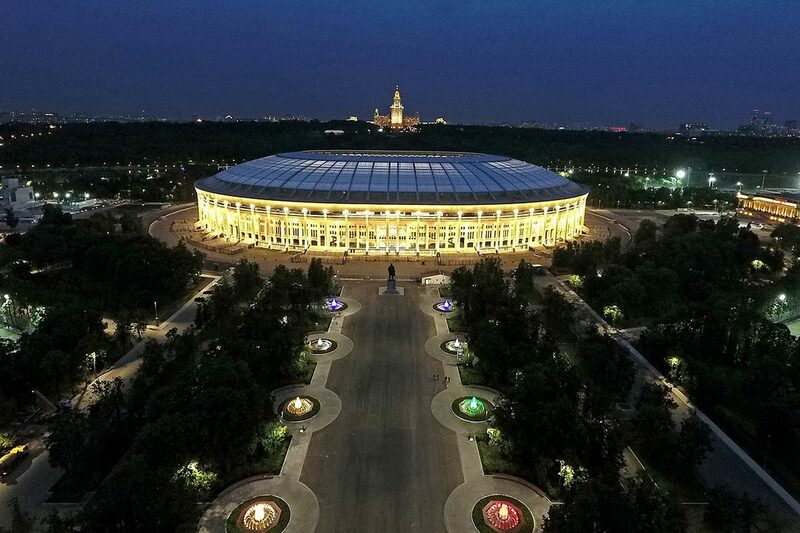 Luzhniki is equipped with a drainage system of care, which operates around the clock in an uninterrupted mode. It allows you to dry the field after heavy rains in just 20 minutes. In dry weather, the lawn is maintained in a necessary condition so as not to dry out, during the precipitation an efficient air supply system operates. Thanks to a well-thought-out heating system, the temperature in the stadium can not fall below 15 degrees, even in the coldest winter. 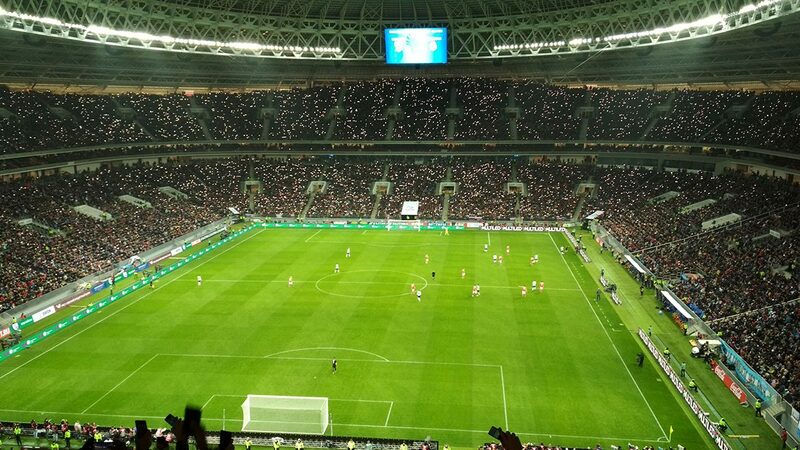 This guarantees comfort not only to the players, but also to the fans, who came to support their favorite team. The stadium has a modern system for fixing the heads. It is equipped with a gate. In order not to miss any important moment of the game, behind the gates are installed cameras that allow you to view the necessary repetitions of the game. Such a system has already been successfully used in the World Cup 2014 in Brazil. If the ball crossed the goal line, the referees were given an appropriate signal. After the construction was reconstructed, the number of seats increased to 81,000, this applies to the VIP-box, press places. Earlier, about 10% of the seats in the grandstands stayed in the zone of not too precise visibility, now it is completely eliminated. Wherever the fan is, he will perfectly observe the game. 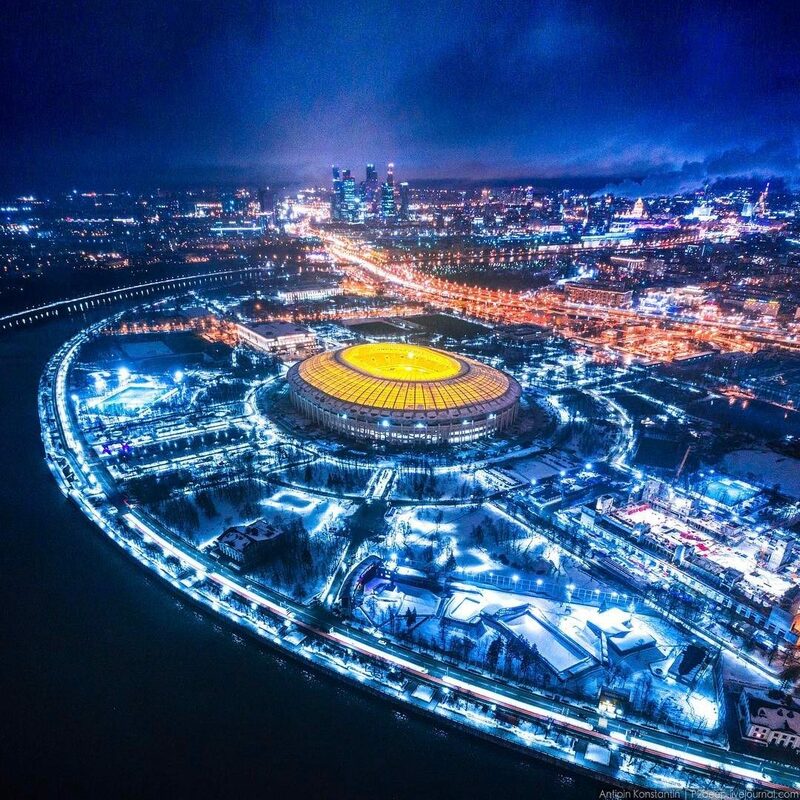 On the territory of “Luzhniki” there is an original town for guests of the city, where they can eat, buy souvenirs. 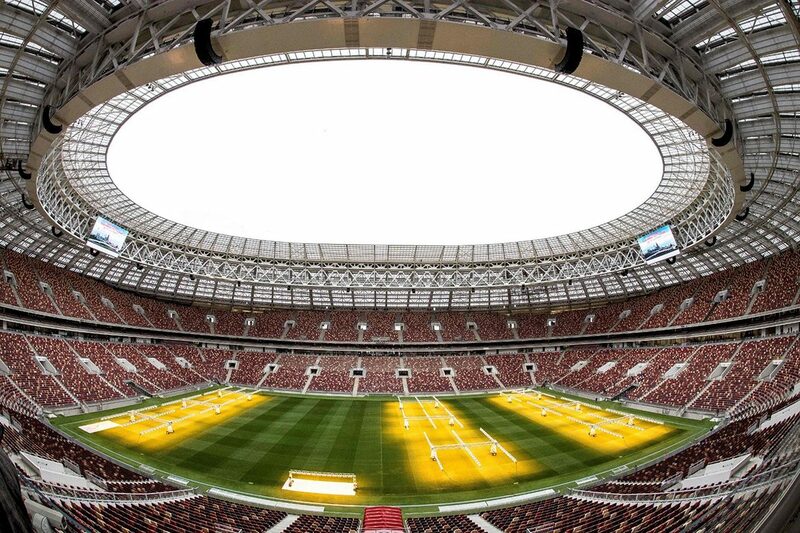 In order for all matches to acquire a special spectacle, a special screen is mounted on the roof of the stadium, which allows you to see a certain match and it will be the flags of the teams participating in the 2018 World Cup. LEDs can with grandstand any changes in weather and temperature. The stadium has high-quality WI-FI and speed. Thanks to this, each fan will be able to install an application on his phone, which will track the goals of matches, replays, etc. 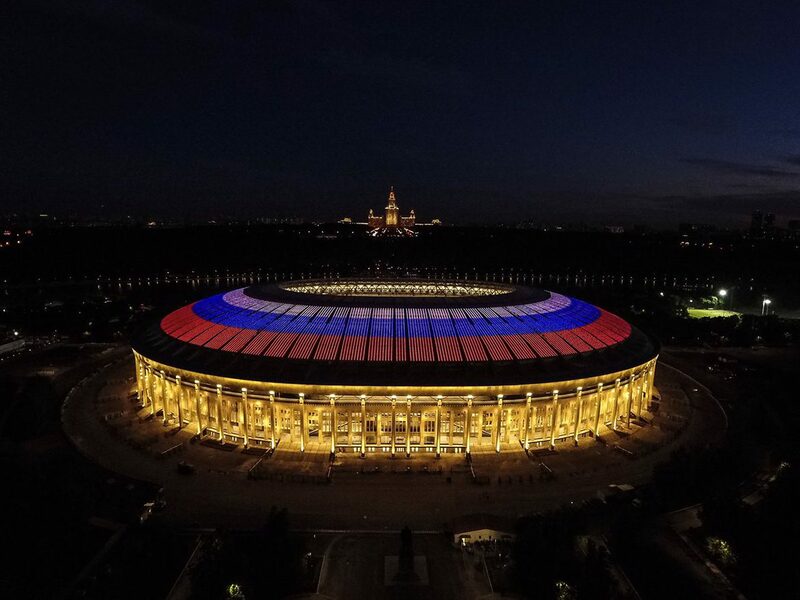 The safety of Luzhniki is at the highest level. Spectators can quickly and easily leave the grandstands at will. The outputs are divided into zones, which, in turn, depend on the security priorities. 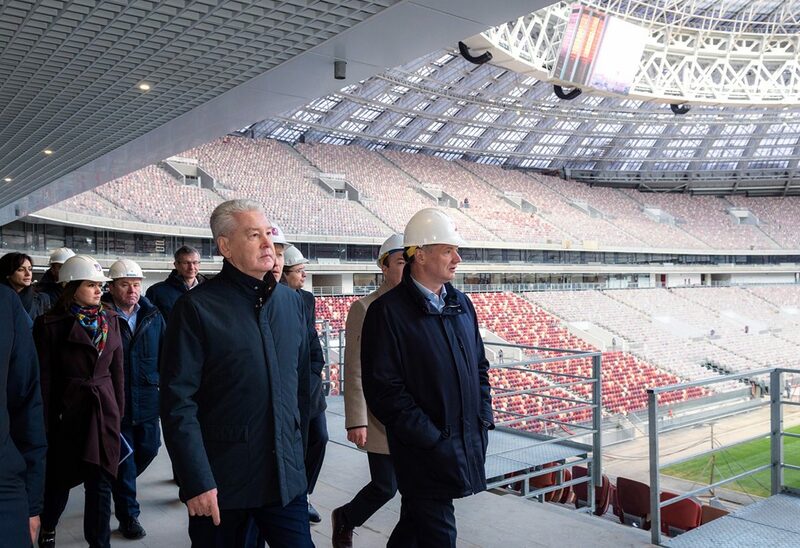 When repairing the stadium, specialists were involved, who prepared sports facilities for the Olympic Games in 2014. As then, so now the priority is the security issue of absolutely every visitor to the grandstands. 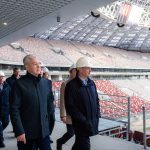 At the Luzhniki Stadium, until the time of reconstruction, there were world stars such as Michael Jackson, Madonna, The Rolling Stones, Red Hot Chili Peppers. 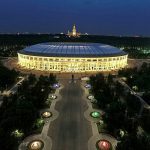 The Luzhniki Stadium is not only an excellent arena for various football matches, but also a part of the history of the whole country, because its historical façade was completely preserved. Weapons. This prohibition applies to any type of weapon, whatever it is intended for – the commission of criminal acts or self-defense. This includes parts of weapons, ammunition, homemade weapons. Medical devices and medicines. It is allowed to take medicinal products not more than one package and the names themselves. This applies to drugs in any form – capsules, drops, tablets. Materials of discriminatory and extremist nature. These include various posters, photographs, etc. Materials that contain advertising in any form. Various foods and drinks. Naturally, this includes alcohol. Substances that refer to coloring. Musical instruments and other items that will distract players from the game (for example, Vuvuzels). Rolls of paper, as well as paper in bundles. Devices designed to fix a match, if it comes to commercial use. Any items that mask or make it difficult to identify an individual. Sports items (scooters, bicycles, etc.). In addition, the stadium cannot be taken with animals. The exception is guide dogs. The owner in this case should have a special document from the veterinary clinic, in which there are notes about the vaccinations carried out, as well as a document on the dog. With wheelchairs, the entrance to the stadium is not prohibited. Attentive staff will recommend leaving the stroller in a specially designated place (storage room). Location: Moscow. 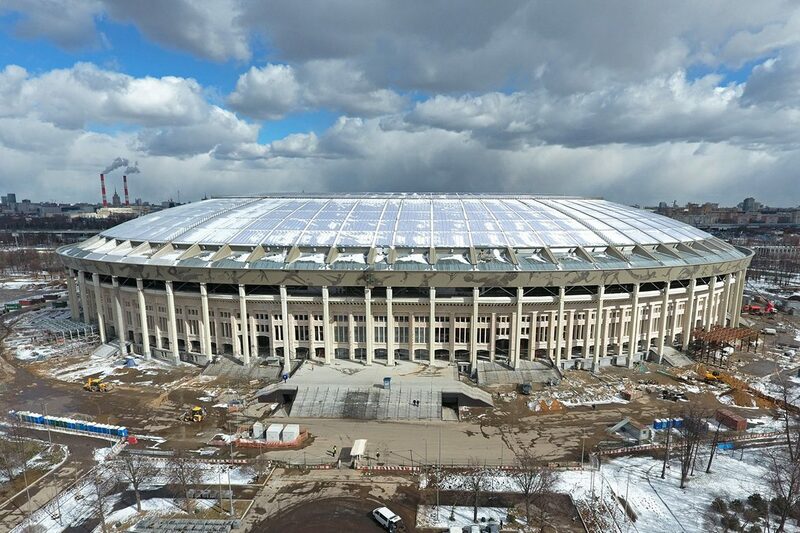 The stadium is located opposite the Vorobyovy Gory. Number of seats in the grandstands : 81,000 people. Number of press room days: 2,000. Number of places for people with disabilities: 300. Channels in Viber: in Russian and in English. 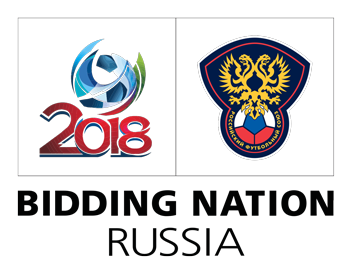 To the stadium during the World Cup 2018 will be limited access to various types of vehicles. The exception will be the public one. In order to enter by private transport you need to have a pass. Metro. A reliable and fast mode of transport, which is convenient not only for local residents, but also tourists. The closest stations are Sportivnaya, Frunzenskaya, Vorobyevy Gory. From each listed station, you can walk on foot in just 5-10 minutes. 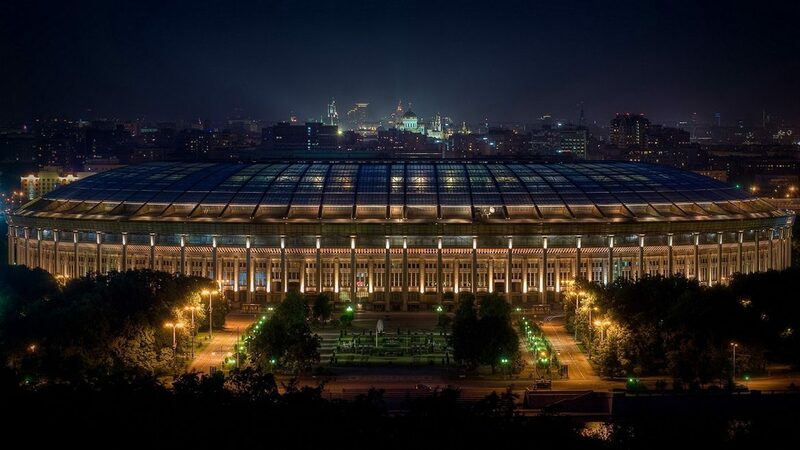 Each exit from the subway leads to a certain tribune of the “Luzhniki”. Consequently, fans can pre-plan their landing and quickly enter the desired rostrum. MCR. The station has the same name with the stadium. It will be easy to undergrandstand every tourist who does not know the city at all. In addition, it will quickly reach Luzhniki and residents of the suburbs of the capital. Bus. From the metro station “Park Kultury” there is a bus to the “Luzhniki” S1. Also, you can get on the routes number 15, 64, 255, C12, M3 to the “Novodevichy Monastery” (the name of the stop). Trolleybus. Trolleybus routes 15 and 28 are passing by the stadium. The car. On this type of vehicle is best to get to the stadium with the Savvinskaya Embankment. It should be remembered that entry is paid, it is 100 rubles. 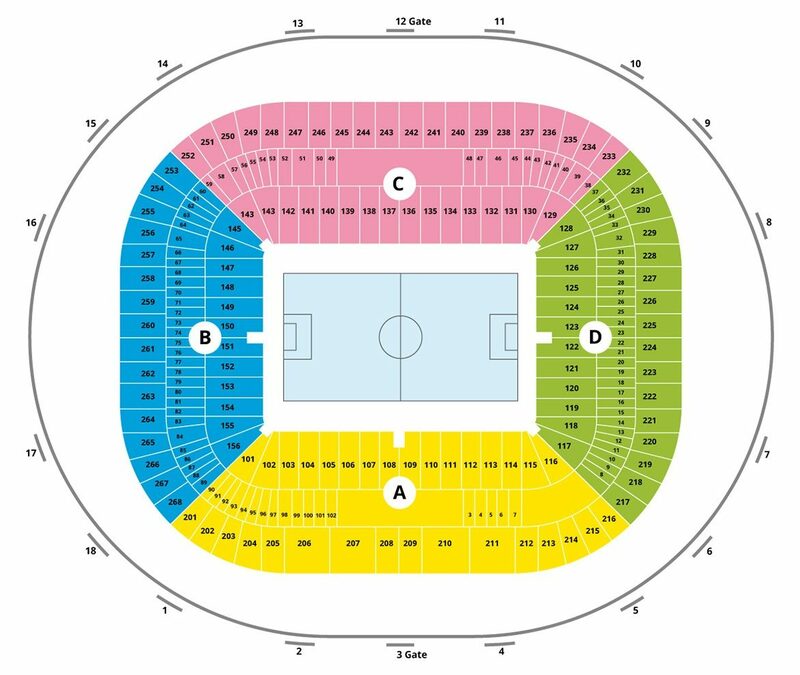 On the territory of the stadium there is a parking, which is free of charge and works from 7.00 to 23.00. Parking at night time is paid, the cost is 500 rubles per night. If the driver wishes to leave the car for the night, it is necessary to specify it in advance with the guard and pay the amount at the established rate. 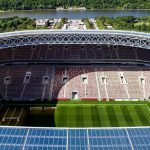 In order to pass to the Luzhniki Stadium for the 2018 World Cup, you should have a ticket for football and a fan’s passport. The second document is necessary for absolutely all visitors of the stadium, even newborn children. Such a passport can be issued on the website www.fan-id.ru. It is recommended to come to the stadium in advance. Each fan will undergo an appropriate search at the checkpoint. 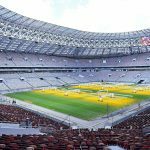 Since the “Luzhniki” will host opening and closing matches, the event will begin before the match itself. Here you should be attentive and pay attention to the information that is indicated on the ticket.